Pirkei Avot (or "Pirkei Avos" in Ashkenaz circles)—generally translated "Ethics of the Fathers," but more accurately translated as "Lessons of the Fathers" or "Chapters of the Fathers"—is one of the most studied tractates of the Mishnah (the Oral Law of Judaism) and contains some of the most oft-quoted wisdom of Jewish wisdom. The question as to why we study Pirkei Avot can be answered by observing the contrast between Torah and human nature. Torah-living is quite often contrary to human nature. There is a code of ethics and sense of morality that comes through mere humanity, but it is at the most base level. Torah-living transcends the realm of human nature to an existence that penetrates into the divine. It is only through Torah-living that man exercises free will. We are able to live beyond the constraints of the yetzer hara and the yetzer hatov, and move into the realm of tzeddikah and chasidut. As a matter of fact, Jewish commentary says, “The Torah’s commandments were not given to mankind for any purpose other than to refine people” (Genesis Rabbah 44:1). It is through the living out of Torah that we are transformed from mere "living beings" into "human beings." 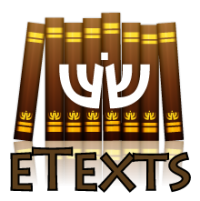 The full text of Pirkei Avot can be read online here. Please select a chapter to begin reading.